Set up for dinner event with 150 guests. The 5000 sq. 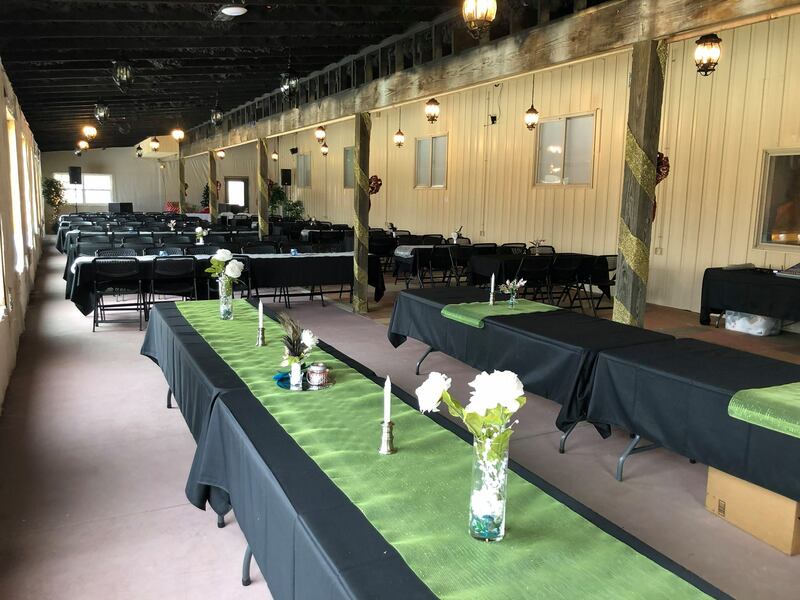 ft. Cedar Creek Conference Center is the best venue for your next gathering, corporate event, retreat, conference or service for larger groups. A recent addition adds an additional space for up breakout sessions or multiple meeting rooms. Equipped with the right technology to suite your needs, the Conference Center comes ready with audio & visual set up available. Conference Center rental rates are negotiable during the off-peak seasonal months of November through March and any Monday, Tuesday or Wednesday. Check out the packages below or contact us for a custom quote.